Circuit boards can do so many things - even once they've outlived their electronic usefulness. 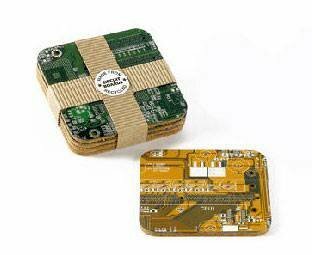 These circuit boards are living out a second life as the perfect coasters for the geek-chic home. £10.99 for a pack of four from Revolve.